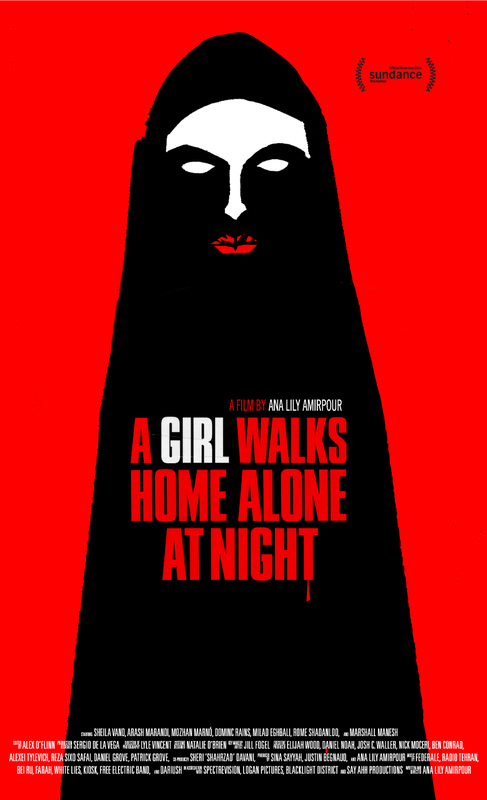 The Horror Honeys: Honey Buzz: Teaser for 'A Girl Walks Home Alone at Night' is Brill! 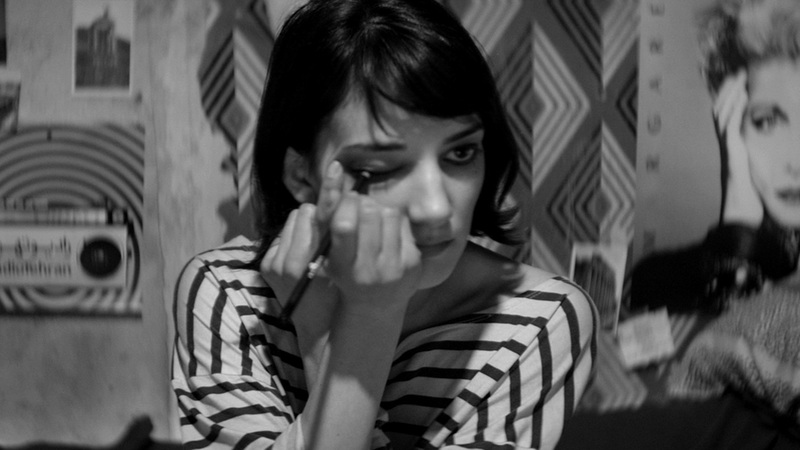 Honey Buzz: Teaser for 'A Girl Walks Home Alone at Night' is Brill! The Horror Honeys anxiously await the day when word that a female director is releasing a horror film isn't major news, but just the latest in a long line of the same. But until that day, we shall celebrate each new quality horror film from a woman director with the pomp and circumstance of a Blumhouse release at a Bro convention! A female director AND it's not a sequel?? SQUEEE! Today, we bring you the teaser from writer/director Ana Lily Amirpour's A Girl Walks Home Alone at Night, a film that looks both beautiful and abso-frigging-lutely terrifying! While it clocks in at a meager 34 seconds, the teaser for A Girl is more frightening than half of the films released in major markets in the last year. Produced in part by Elijah Wood's SpectreVision, A Girl is being billed as the first "Iranian vampire western," which is likely a safe bet on their part. Set in the Iranian ghost town of Bad City, this black and white indie tells the story of a town besieged by lonely vampire. With a Metacritic score of 91 (which is amazing for Metacritic), and a round of audience raves from Sundance Next Fest, I could not be more excited about this wholly original piece of horror cinema from a woman with true vision!